Hello! 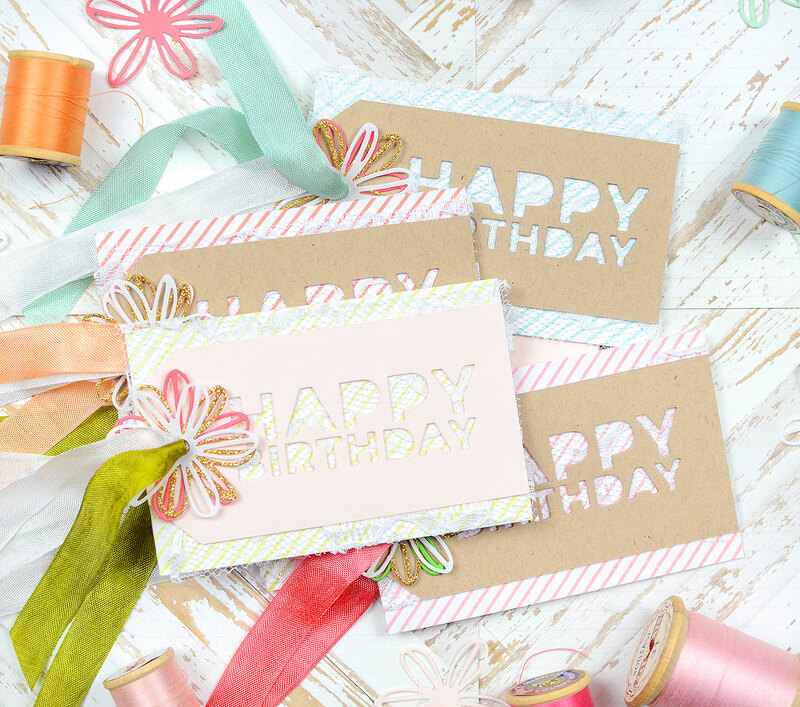 I'm excited to bring you a fun set of Birthday tags today! 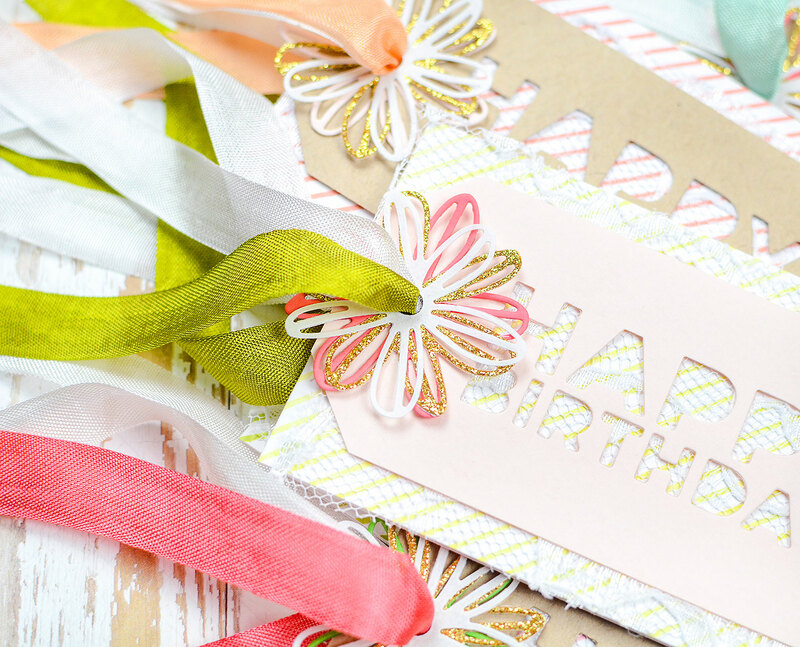 I'm convinced that you just can't have too many birthday cards and tags in your collection. 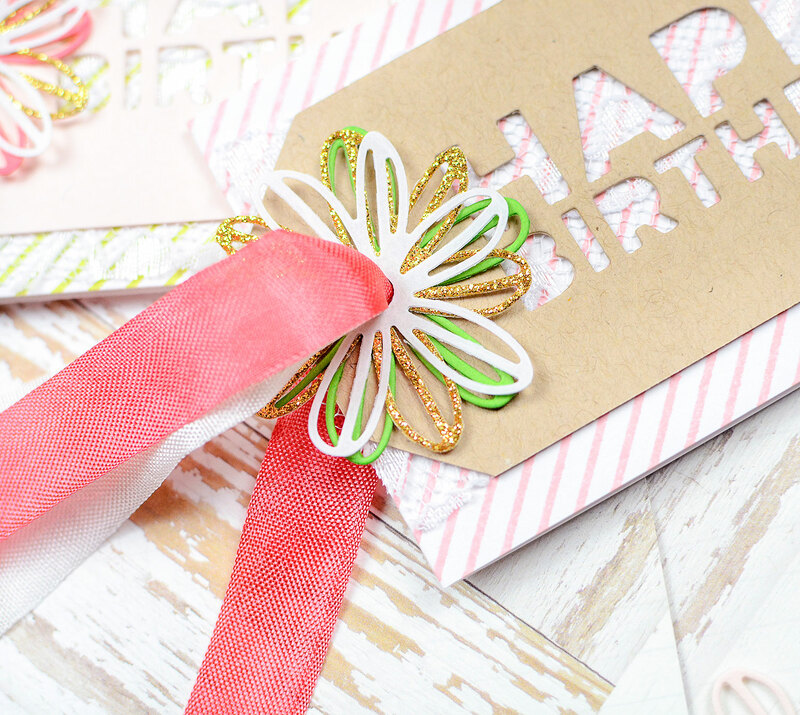 This project posted a couple of days ago on The Stamp Market blog, but I wanted to share it here, too, just in case you missed it there. 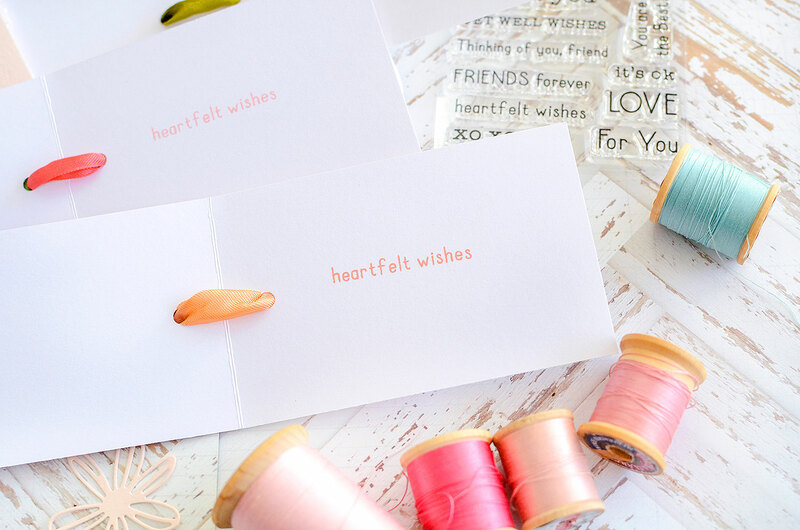 Next, I made a few tags from kraft and pale pink card stock to fit my mini cards. I simply cut rectangles of paper down to 4 1/4" x 2 1/4", punched a hole in the center at one end, and snipped off the corners. 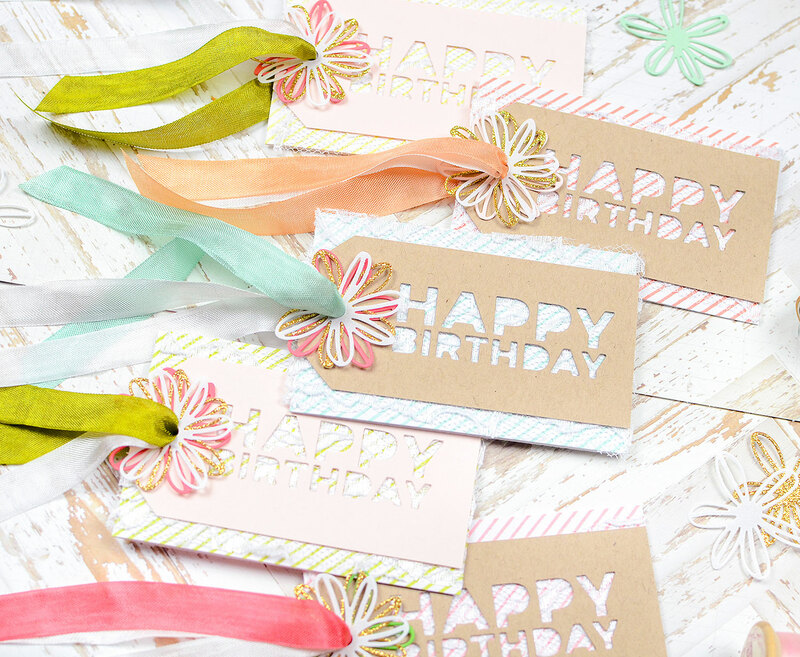 I took the tags and die cut "HAPPY BIRTHDAY" in the center of each one. 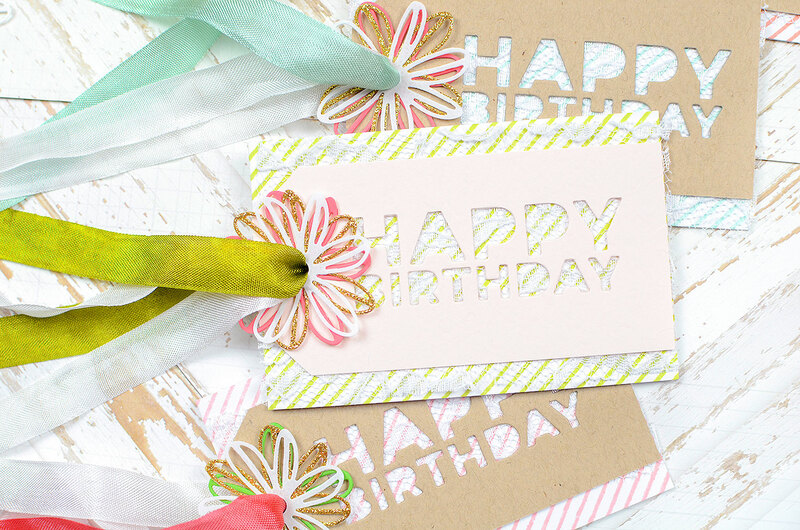 You can find the die as part of the Jumbo Tag die set. It nicely fills the tag space so there's not much more you need to add if you want to keep it simple. 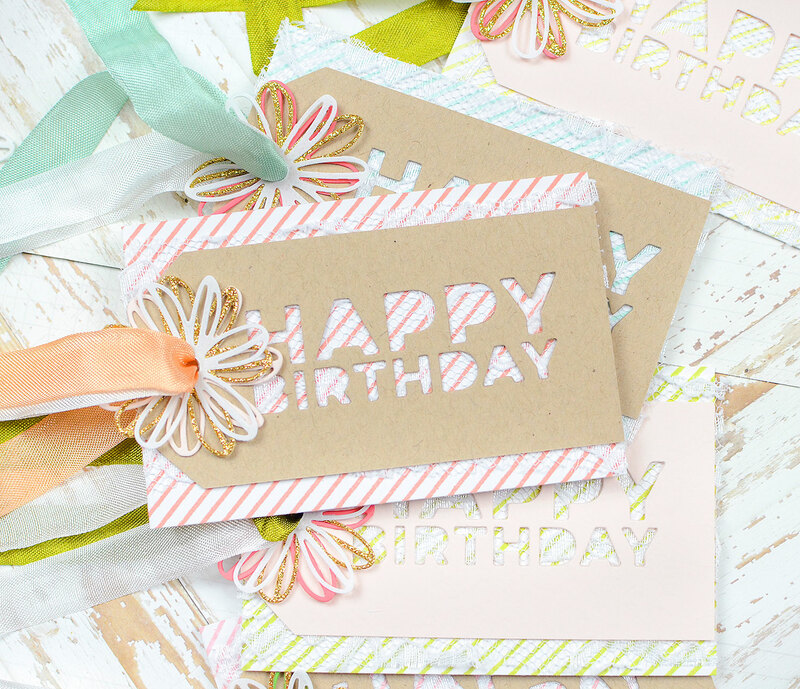 Because I love texture, I covered the front of each card with a swatch of white lace. It's very subtle so you get the texture without masking the pinstripes. 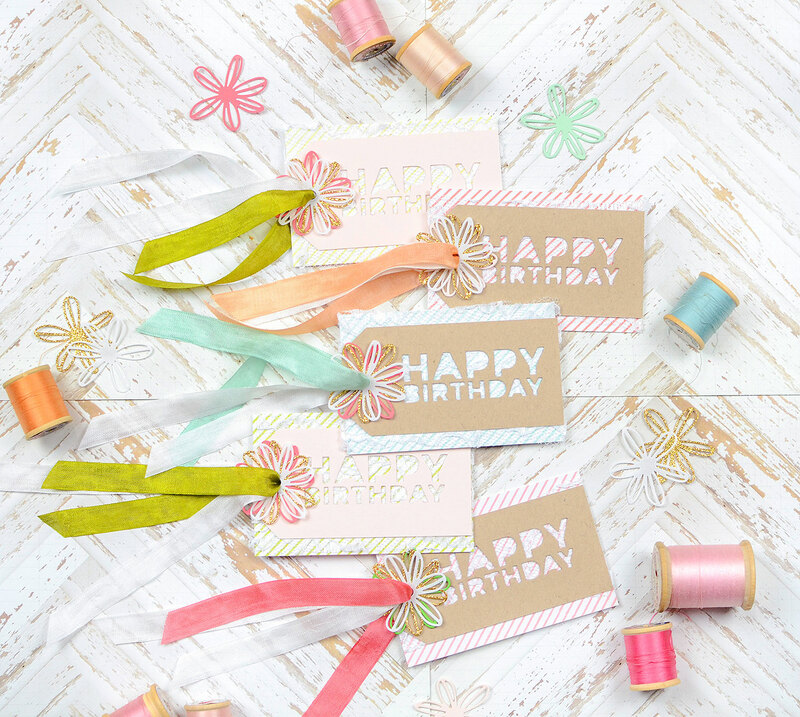 I adhered the HAPPY BIRTHDAY tags over the lace and punched a hole in the center of the left side of the tag, using the existing hole in the tags for guidance. At this point, you can thread some trim through the hole and be done...or you can add just a few more pretty details, which is the direction I went. 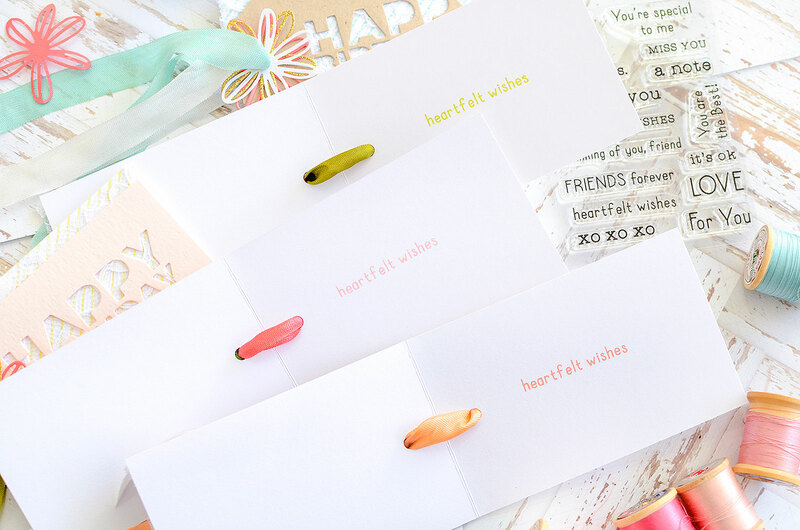 Since these tags have an inside, I stamped "heartfelt wishes" from the January bonus Well Wishes set. I used each card's corresponding ink colors for the inside message. 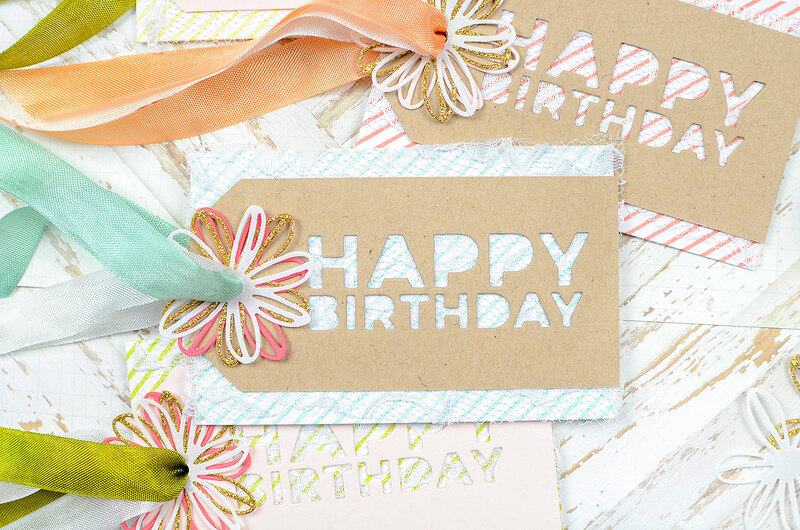 On the outside of the card, I couldn't resist cutting out some of Bloomin' Cute's intricate florals. 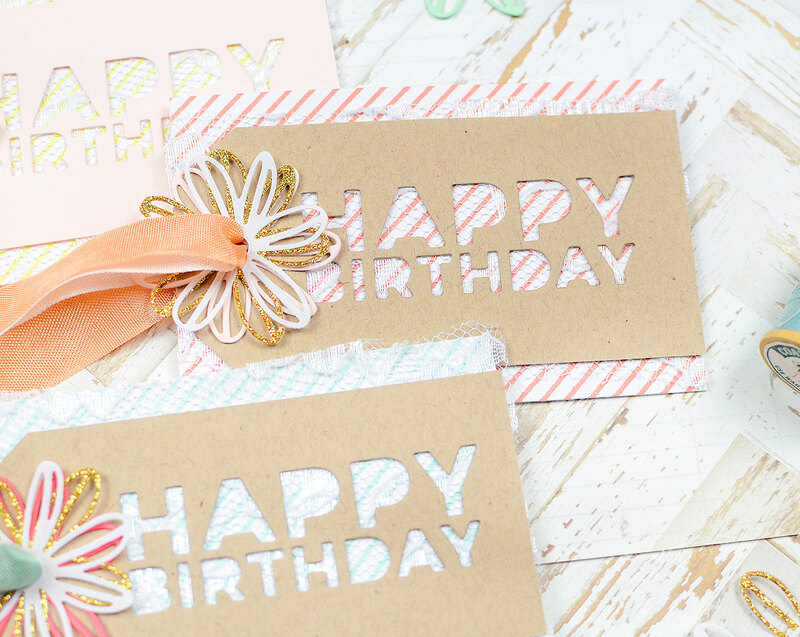 They're cut out of gold glitter and colored cardstocks, as well as thick vellum. 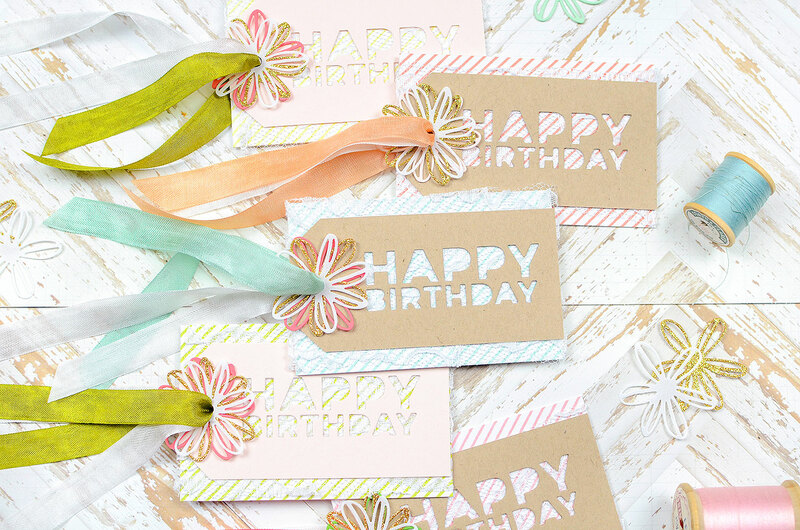 I used 3 blooms on each tag, adhering them together with a dab of glue in the center. 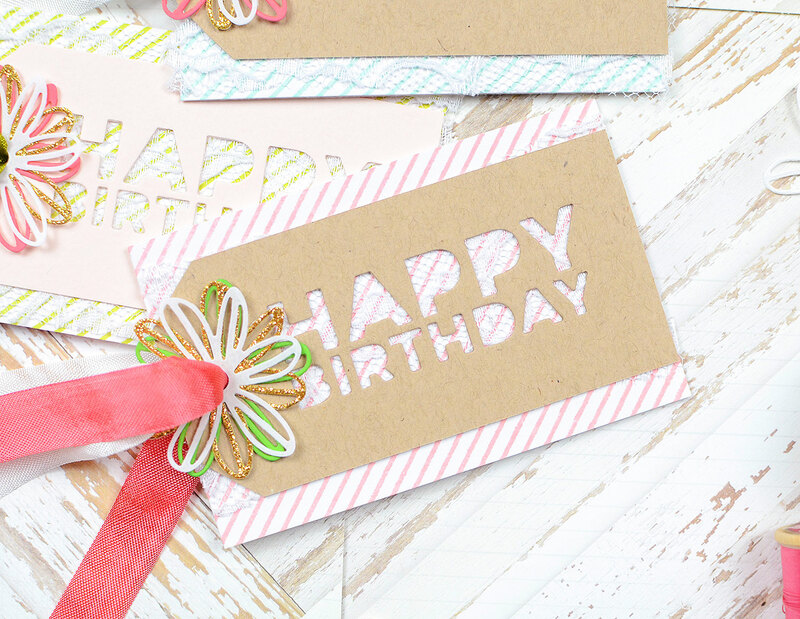 When the glue was dry, I punched a hole through the trio and lined it up with the hole in the HAPPY BIRTHDAY tag and card. These blossoms are my favorite kind--I love the cut-out details in the petals, and when you put a few of them together, it makes such a pretty flower! You always create the loveliest of work, I so admire your style and always look forward to your posts, thank you. Oh, Rachel, thank you so very much for your sweet comment! I'm so happy you're enjoying these posts and very much appreciate the time you take to leave a comment. Have a lovely day! So much inspiration! 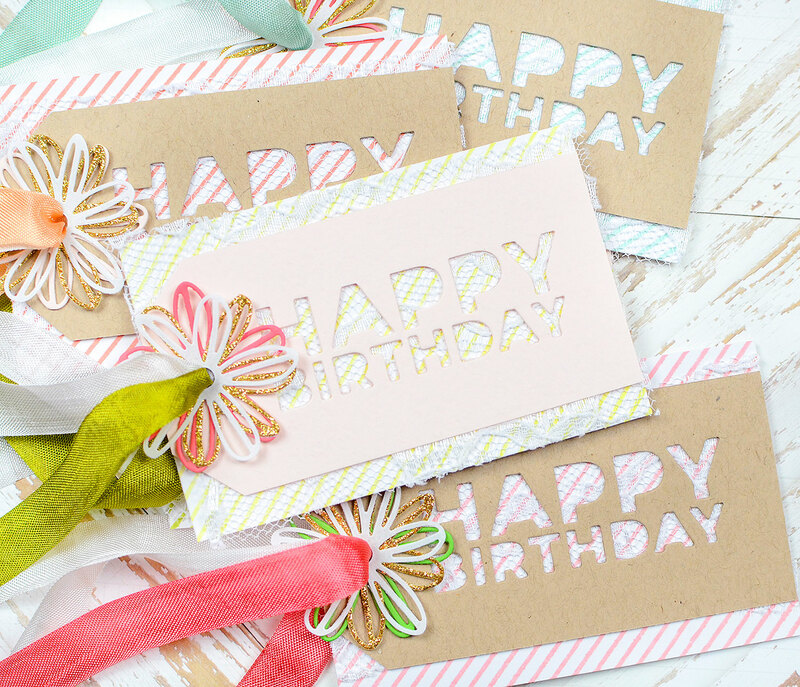 Flowers, ribbon, color, dies, stamps! Love it all!